Edited by two of the most respected scholars in the field, this milestone reference combines "facts-fronted" fast access to biographical details with highly readable accounts and analyses of nearly 3000 scientists' lives, works, and accomplishments. 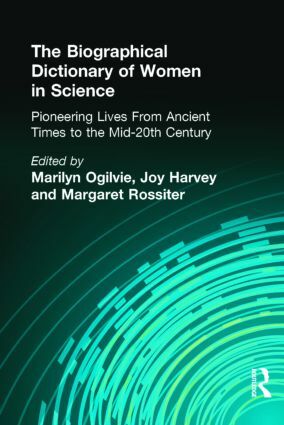 For all academic and public libraries' science and women's studies collections. "Highly recommended for both academic and public libraries Against the Grain."